Gyeon Compound will allow you to remove heavy imperfections safely and easily! Heavy imperfections are an eyesore and need to be removed with a high quality compound if you want to get your paint back to looking like new again. With Gyeon Compound, not only will you be amazed at the low dust produced during use, but you will also really enjoy the glossy finish left behind! 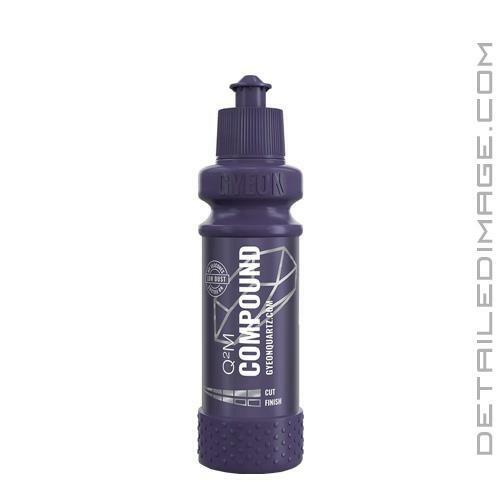 Now, this is a compound so you will most likely still be left with some very light haze that needs to be remove with a lighter polish and pad combo (i.e. Gyeon Polish), however it is minimal, which makes your second polishing step that much easier! This compound is water based as well, contains high end abrasives, and does not include any silicone or fillers. When applying, Gyeon recommends applying via your favorite polisher on low to medium speeds. After application wipe away any excess with a clean microfiber towel and Gyeon Prep and inspect the results. If needed, re-use to achieve desired results. If you have any heavier imperfections that need removal, the Gyeon Compound is a great product that you will be sure to enjoy! Work with a polishing machine of your choice. Spread at low revs. Work until fully diminished at medium revs. Wipe off with a HQ microfiber. Use a 1:1 dilution of IPA to remove the remaining product and inspect the effect. If needed, reuse. I was really impressed with this product like I have been with the rest of their lineup. The compound had a really long work time, good cutting ability and finished down very nicely. For comparison, I would definitely buy this again.